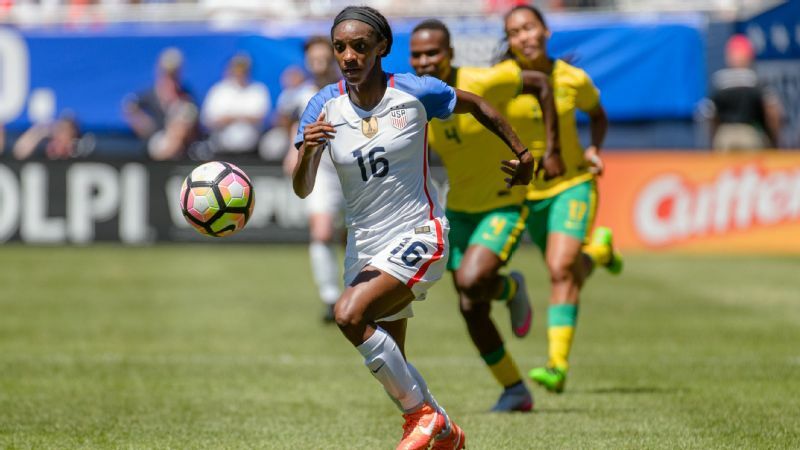 Julie Foudy breaks down three things to keep an eye on as the U.S. women's soccer team begins its quest for Olympic gold at the 2016 Olympics in Rio. BELO HORIZONTE, Brazil -- Several members of the U.S. Olympic women's soccer team faced a history pop quiz of sorts when they met the media in advance of Wednesday's opening game against New Zealand. The largely Brazil-based media contingent wanted to talk about the last major tournament game played at the Estadio Mineirao, a men's World Cup semifinal two years ago that did not go the host team's way. Decidedly so. Yes, Kelley O'Hara replied, she remembered watching Brazil and Germany play that day. 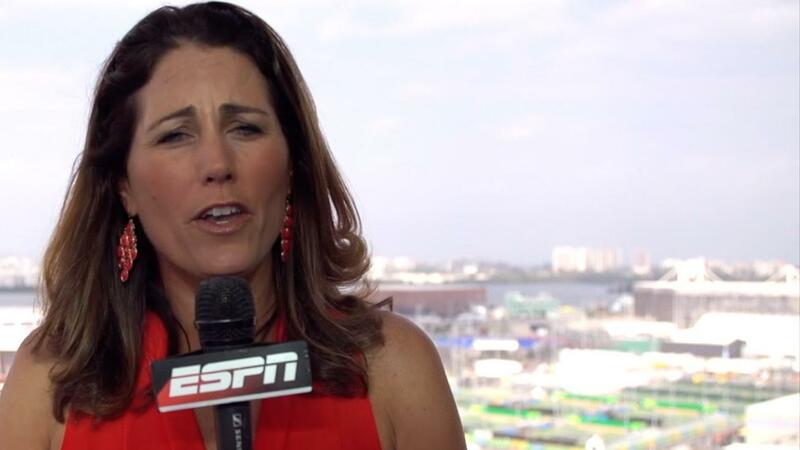 No, Hope Solo said, she didn't imagine another 7-1 scoreline would unfold in this tournament. They played along, but their focus is less on any history already made and more on history yet to be written. Already the only country to win three consecutive Olympic gold medals in women's soccer, the United States is attempting to make it four in a row. Doing so would guarantee another unprecedented feat: becoming the first team to win World Cup and Olympic titles in back-to-back years. Assuming the U.S. women advance from Group G, they will play their first four Olympic games in 10 days. Up first? New Zealand on Wednesday. The only way to claim such prizes is to play like the experienced team that this group is. And not like the inexperienced team ... that this group also is. More than half of the U.S. roster is taking part in the Olympics for the first time. That is notable turnover for a team that won gold four years ago in the London Games. Yet only four players in Brazil are part of a major tournament roster for the first time. More to the point, only four players haven't won a major title. 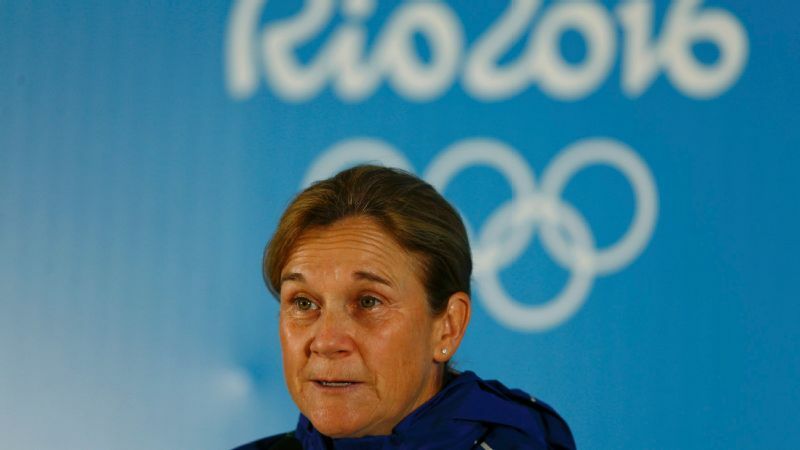 Can Marta seize moment in Rio Games? Given that 2011 World Cup champion Japan didn't qualify for this Olympics and only six players remain from Germany's 2007 World Cup championship team, the American roster that has so many Olympic rookies also owns a near monopoly on experience winning an event of the same magnitude as what's about to unfold across Brazil. The starting lineup Wednesday could have six first-time Olympians. It also could have seven world champions, eight if Morgan Brian reclaims a spot after dealing with a hamstring injury. "We have a lot of new faces in their first world championship, and then we have a lot of world champions, as well," midfielder Tobin Heath said. "So in that way I think it's great because we have that depth of experience, but we also have this great energy about the team that everyone is excited to be here because this is a world championship. Everyone wants to play their role." The United States' first opponent is evidence that this tournament is tricky in its own fashion. Though New Zealand hasn't beaten the U.S. women in the World Cup and in the Olympics era (New Zealand's lone win in the series came in 1987), it is not the pushover it once was. The United States won 4-0 in the most recent meeting a year ago, but the margin was just 9-3 in the four relatively recent games that preceded that encounter. That included a 1-1 draw on American soil in 2013. Compare that to a 34-1 U.S. goal advantage in seven meetings between 1993 and 2008. 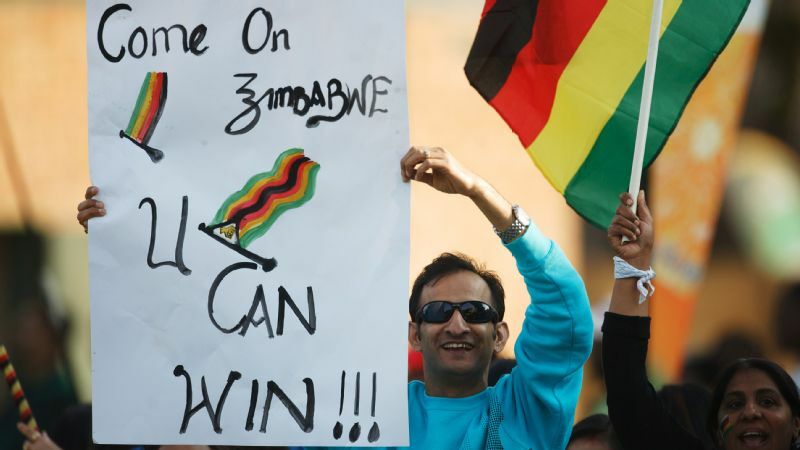 Especially in a group without either African entrant -- both South Africa and Zimbabwe are untested programs at this level -- these Olympics offer the Americans little breathing room and even less time to catch their breath. Assuming the U.S. women advance from Group G, they will play their first four games in 10 days, compared to a 15-day span for the Americans' first four games in last year's World Cup. And if the United States doesn't win Group G, that fourth game might well be a quarterfinal against Germany. Things can go wrong quickly in the Olympics. Add to it that the Americans enter the game against New Zealand with at least moderate injury question marks. 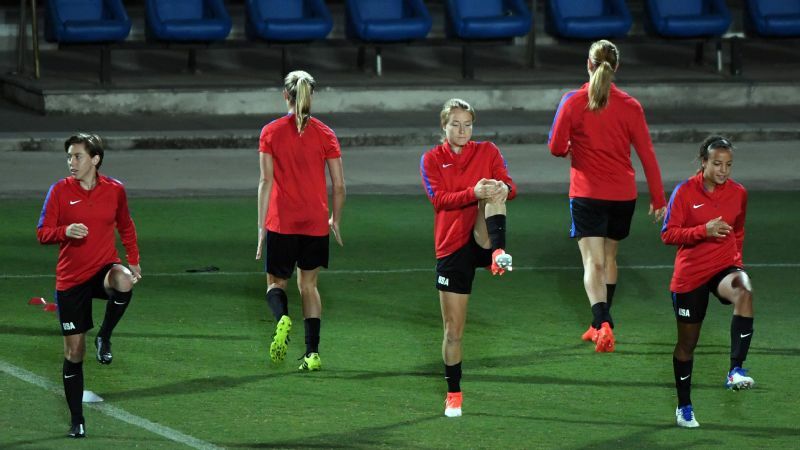 Coach Jill Ellis said Tuesday that Brian, Heath and Megan Rapinoe are all "actively training" and "available." She made it sound as if Rapinoe would be counted on more in the future, which wouldn't be unlike the situation Ellis managed with Alex Morgan at the outset of the World Cup a year ago, while Brian and Heath are closer to unencumbered options. All the more reason the United States needs to play from the outset like a team that has been here before. And for as much talk as there is about turnover and new faces, understandably, some have been here before. Likely starters Morgan, O'Hara and Becky Sauerbrunn were Olympic rookies in 2012; now they are the experience. Carli Lloyd is after her third gold medal, perhaps on her third winning goal. Solo becomes only the second American women's soccer player to travel to four Olympics (the first as an alternate). "I know what to expect on a daily basis," Solo said of the roster. "But I don't know what to expect when you have the intensity of a major tournament, when you have two days between every game -- how some of the players are going to recover, especially some of the players coming back from injury, especially some of the younger players. It's a mentally and physically very taxing tournament. It can be emotionally taxing as well. "I think that's fun, to not know what to expect because somehow, [in] some way we'll figure it out. Whether it's through subs, whether it's through putting your arm around someone like Mallory Pugh and being like, 'We'll get through this. It's not always going to be pretty, but we'll figure it out.' "
That theme keeps appearing when the players with the most experience talk about this team, perhaps surprisingly, given at least the public perceptions of many of the players involved. Whether seen as intensely introspective, like Sauerbrunn, intensely outspoken, like Solo, or just intensely focused, like Lloyd and Morgan, they are now the core of the experience that Ellis said brings a "voice of levity" to the locker room. That seems to be the identity they want, knowing that we will make it out to be their strength if they win and their weakness if they lose. The U.S. women are balancing some injuries, but coach Jill Ellis says Morgan Brian, Tobin Heath and Megan Rapinoe are all "actively training" and "available." "The casualness of this team is, I think, a positive thing," Morgan said. 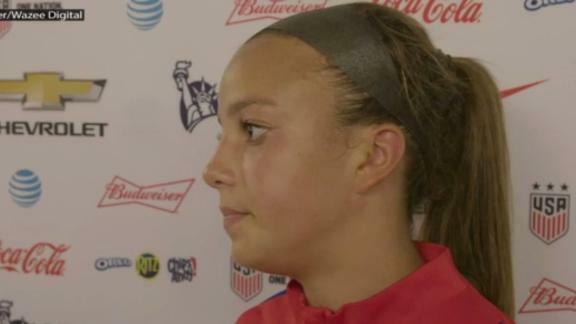 "In the past it's been so tense leading up to tournaments because we had very intense players like Abby [Wambach]. I think not having a big player like that, that's very loud and intense, I think it's good for us. Because I think for the younger players, they might stress out over seeing just how many games we have in such a short period of time and the impact we can have at this level. I think it's good to have." It is a young team, but it's a team on which almost everyone has experienced what is required to win a title. It isn't the same team that entered past Olympics. It enters off World Cup success instead of disappointment. But the goal is the same. "Every time we play in a major tournament, we want to win," Lloyd said. "So I think there was that motivation, and it's almost like the year after the World Cup you are able to make things better. But I think it's just [about] winning. I'm a winner. Every time I go out there I want to win. No matter if it's a World Cup or Olympics, whether we're going for a fourth consecutive or whether we haven't won, that's just kind of the nature of this team."